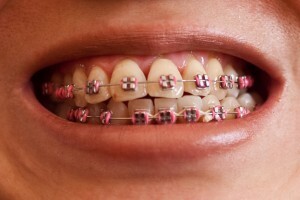 I’m beginning to get more antsy than usual regarding when these braces will finally be taken off. Feels like I’ve had them on forever. Pink elastic ligatures this time. Dr. B placed an elastic band on my bottom lower front teeth to close a gap that was forming. My gums were sore for almost two days, which thankfully I haven’t experienced in quite a while. I’m also tired of the brackets pushing against the inside of my mouth (causes closed sores); a problem which is unrelieved even with the use of ortho. wax- a problem which you’ve already heard me whine about way too many times. Oh, I really need some moral support. My family keeps asking me when the braces will finally come off and the truth is, I haven’t a clue since Dr. B doesn’t feel comfortable in giving me a definitive response. I keep telling myself, THINK swan, swan, swan….. This entry was posted on Friday, November 27th, 2009 at 6:42 pm	and is filed under Angela, braces. You can follow any responses to this entry through the RSS 2.0 feed. You can leave a response, or trackback from your own site.